As Companies embrace the digital era evermore, they need to be aware of the risks out there that are looking to destroy your business productivity or worse. No matter what size your company is, you need to understand the critical imperatives of having effective IT security, the types of potential threats and the impact that they have on your business. Developing a business is hard work and requires a lot of your time and energy. Any business owner will tell you that it’s a challenging, yet rewarding, experience to run a business. However, not all business owners are aware of the threats that lie in wait, ready to bring their business to a halt. The quickest way to establishing effective IT security systems and practices is to take a step back and evaluate the status of your business and the risks present in your company. After you have assessed how vulnerable your company is, you need to take action on putting systems and practices into place that will safeguard your company from attack. If you do not have a fully effective IT security system in place, your business is at risk. It might not seem apparent at first, but when you do not have protection or defences in place to ward off harmful threats, you could lose more than you might realise. From loss of data and system downtime to impact on productivity and damaged brand reputation, anybody with the right tools can break in and wreak havoc on your company. With the speed of technological development, you need to have a plan in place to stay a step ahead of potential security breaches. Without a plan, a business risks everything when a security breach happens. In the event of a security breach you will need to know the steps to take and how to correct them in a quick and effective manner. There are all kinds of threats out there and they have all been curated by individuals looking to take advantage of you, your system and your business. They may have different motives and practices, but they all spell bad things for your company. When developing your IT Security Plan, it helps to understand the potential threats that are waiting to jump on your business and digital infrastructure. A hacker is the top of the food chain when it comes to vulnerabilities in the digital world. A hacker is an individual who illegally gains access to data and systems. This may be anything from your emails, website and financial data to total control over your computer or business network. They often use tools like viruses and malware to gain an advantage over you. According to Heimdal Security, leading cyber criminals and hackers on average cause financial damage between $350,000 to over $100,000,000 each. 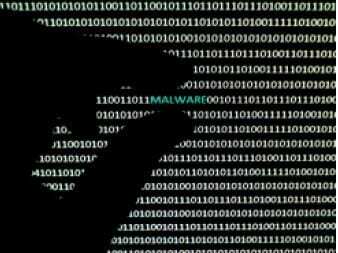 Malware, short for malicious software, describes a type of code or program that has been installed on your computer without your knowledge. It is designed to intentionally infect your computer, mobile device or network to gain an advantage over it and you. Depending on its severity, malware can do an array of harm such as forcing your email system to send mass-email and further spread the malware, to stealing bank information and other private financial data. Trojan horses are impostor files that look to be desirable but are malicious. Unlike viruses, they do not replicate themselves but still contain malicious code that causes loss or theft of data. Worms are standalone malware software that replicates itself in order to spread to other computers. Unlike a virus, it does not need to attach itself to an existing program. Worms often use a computer network to spread itself, relying on security failures on the target computer to access it. A significant potential threat could come from within. This could be a current or previous disgruntled employee. Particularly someone with knowledge of your systems, seeking retaliation. Staff carelessness could also be an issue to with someone leaving a password on a sticky note. Not being alert to phishing emails, or omitting to put a passcode on their mobile device. The threats to a business from a digital attack like malware or a rogue employee can be critical. Not all malware and viruses are designed to ruin a business and force it to crumble. However they can, still have devastating effects if not prevented or taken care of.